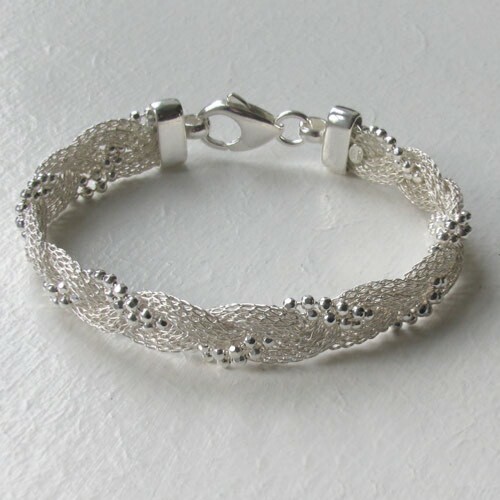 Sterling silver plaited mesh and ball bracelet. 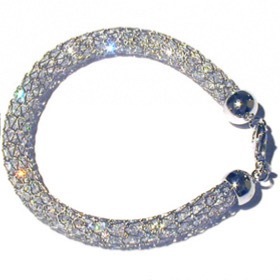 Exclusive to Booth and Booth, we challenge you to resist this exquisite silver bracelet! 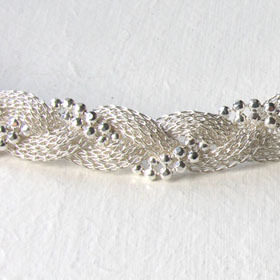 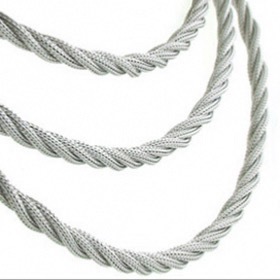 Diamond cut silver balls and a double layer of silver mesh are plaited together to create this stunning style. 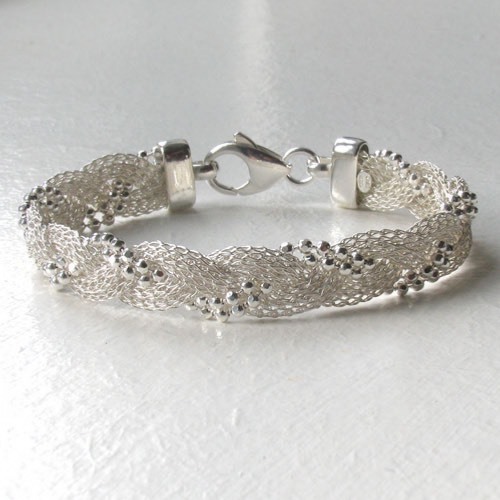 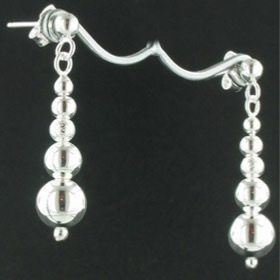 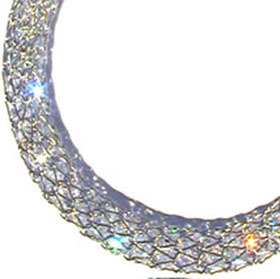 The silver is bright and the faceted silver balls add sparkle to the mesh. 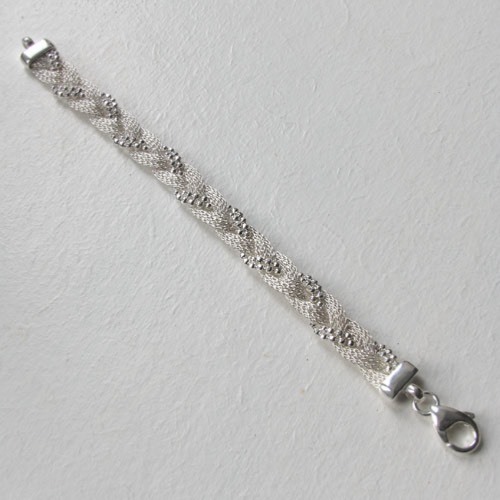 The bracelet is firm but not rigid and curves around your wrist. 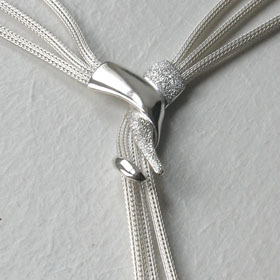 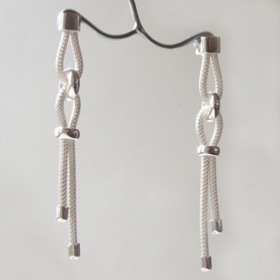 It is finished with chunky ends and fastens with a substantial lobster claw clasp. 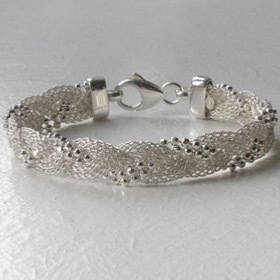 Wear with the matching silver necklace. 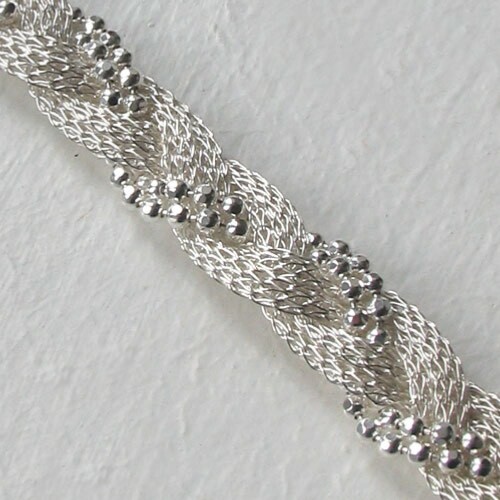 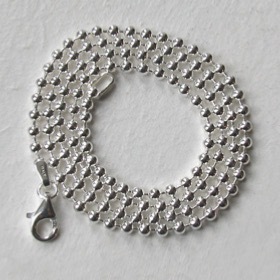 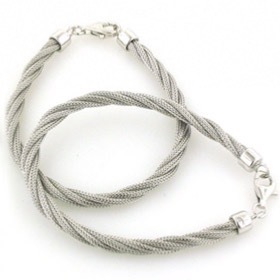 This silver bracelet measures 11mm wide.